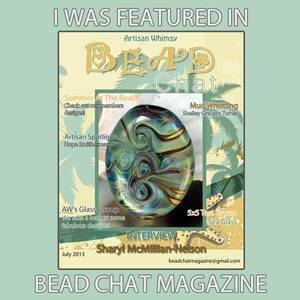 A new edition of the Bead Chat Magazine has just been published! Great Magazine, I need to come around more often again. I seem to be missing out on a lot of events going on in our beady bloggy world! I hope all is well with you and yours. Hi Therese, please do so! You're part of the AW, aren't you - make sure you participate in the events there, lots of fun!